The running order for the three semi finals in Ukraine’s Eurovision 2017 selection has been decided this afternoon. The running order draw has taken place in Ukraine to decide the running order for the three semi finals in the countries selection process. The allocation of semi finals was decided by the shows producers, while the order of the singers in each semi final was drawn at random. On the jury for the national selection are Konstantin Meladze, famous Ukrainian composer and producer and also music producer of the show (he was also one of the jurors in 2016), Andriy Danylko, an Ukrainian comedian and singer also represented Ukraine in 2007 as the drag artist Verka Serduchka and Jamala, the winner of the Eurovision 2016 with the song “1944”. The winner of the Ukrainian selection process will be decided by 50% televote and 50% jury voting. From each semi final it is expected that between 3 and four songs from each semi final will be selected to go through to the final. Ukraine first participated in the Eurovision Song Contest in 2003, when Oleksandr Ponomariov performed “Hasta la vista”. The following year Ruslana won the contest for Ukraine with the song “Wild Dances”. 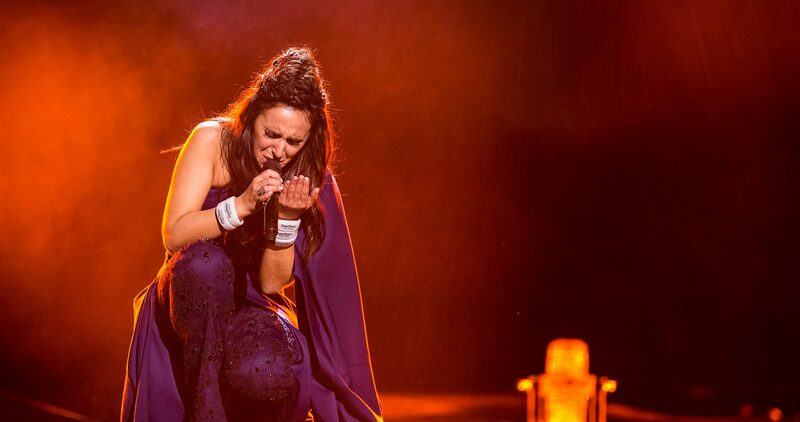 It was a feat that would be replicated again in 2016 by Jamala with her song “1944”, her emotionally charged song scored a record 534 points to take victory in Stockholm. In 2015 Ukraine did not compete in the contest due to financial difficulties. Ukraine is one of a handful of countries to have managed to qualify for the final every year since the introduction of the semi finals in 2004.